Call me an optimist, but I have high hopes for 2014. 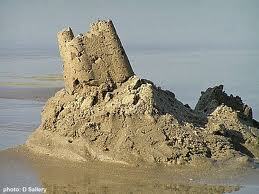 Obamacare is falling apart faster than a sand castle in the tide. Senator Baucus has seen the coming train wreck and is leaping from the train. Schweitzer is showing his greed while hoping no one discovers the skeletons in the closet while backpedalling from a senate race. Senator Guillory switches parties from Democrat to Republican (oddly hardly reported in the news). The economy has remained relatively stagnant. Yes I am hopeful that we have a real chance to retain the House and take the Senate. It will be an uphill battle fighting the Democrats and the media. The media will be especially tenacious defending President Obama’s legacy. The media and TV late night comedians will excoriate the Tea Party, Sarah Palin and any one else who looks like they have the public’s interest. But we have to present electable candidates. We can’t nominate far right extremists with radical ideas on gay marriage or completely shutting down abortion in this country. But we also can’t nominate candidates eager to compromise. We have to stick to the basics, less government, less spending, more accountability, and tax reform. That will get us elected. Then we have to follow through with those policies. And if we do that and show the public the right way to run this country Hillary won’t stand a chance in 2016.